the last photo from my trip to bay area. hummm… not really. 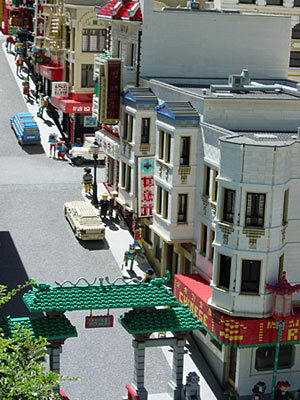 this was taken at Legoland in california, spring 2003. it’s called “miniland usa”, the miniature cities in the u.s. curious about legoland? see more. // lalaland is kind enough to feature one of my travel photos on her site today as part of the december “travel diary” theme. thanks! Ohhh, It’s too sweet! and looks like real world because the lighting has reallity. I thought that it was actual society. i didn’t realize this either, so interesting, i like to visit that place.